Join me as I begin a new series, Cooking in a Hotel Room. I’ll kick off the series by showing you how to create your own portable kitchen, followed by weekly posts featuring quick and easy meals that you can create on the go, wrapping it all up with a fun giveaway that you won’t want to miss. Have you ever gone on vacation and longed for a home cooked meal? I have. Plenty of times. That’s why when I prepare to travel and seek out a great hotel room, I try to reserve a room with a kitchenette. But sometimes that’s not possible and other times, even though I do manage to snag a room with a kitchen, the kitchen isn’t properly stocked with basic cooking tools, making it hard to prepare the meals I planned. That’s easy. If you’re planning to do some cooking in a hotel room, you should spend a few minutes creating a portable kitchen that is sure to serve you well on your next road trip. Just what is a portable kitchen anyway? A portable kitchen is simply a collection of basic kitchen utensils and items you need to create quick and easy meals in your hotel room. Just so you know, I’m not talking gourmet, but you should be able to create good basic meals while you’re traveling with little advance preparation. Gathering kitchen utensils and other supplies. It’s important to note that my portable kitchen won’t look the same as yours. I have spent a large number of years traveling and preparing meals in a hotel room so what I opt to pack is based on what I’ve found lacking in most hotel room kitchenettes. A small Crockpot is perfect for heating up soups or even browning hamburger in a pinch. A small baking sheet- I use the baking sheet that came with my toaster oven. It’s small and doesn’t take up a lot of room. A can opener. I can’t tell you how many kitchenettes are missing a can opener. A small cutting board and paring knife. A large plastic serving spoon and/or spatula. A Collapsible Mixing Bowl (I actually have two of different sizes). A set of measuring cups. Thank you to Squish by Robinson Home Products for providing me with some products to try. 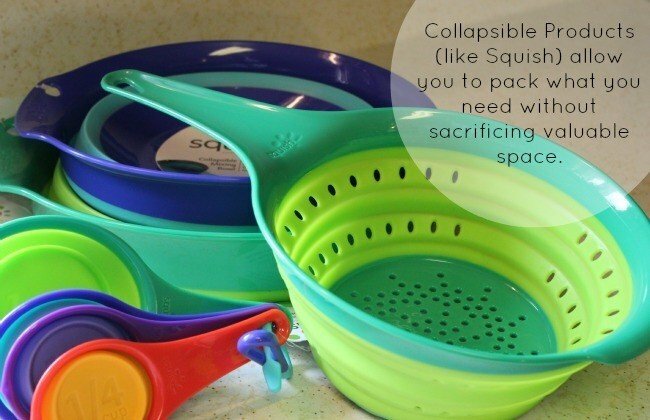 Squish offers a line of collapsible products that are perfect for rounding out your portable kitchen without sacrificing valuable space. A dish towel and scrubbing sponge. I pack all my supplies in a medium sized plastic tote that can also serve as a makeshift sink if I need it to. Other items that may come in handy. Salt, Pepper and basic spices. Paper plates, bowls and plastic ware for easy clean-up. I keep my portable kitchen packed and ready to go at all times so when an opportunity to travel arises, we’re ready to go with minimal preparation, ensuring that my family can continue to eat home cooked meals, even on the go. Don’t forget to stop back next week when I begin to share some of the quick and easy recipes that you can easily prepare in a hotel room. What would you add to your portable kitchen? Disclaimer: I was provided with Squish products to use for the purpose of writing a review (to come). No further compensation was provided. This post does contain affiliate links. Thanks so much for your comment, Rosa! I’m glad you found it helpful. I have changed up the items I travel with a bit and plan to update this post. My biggest find was a Jr. Fry Daddy, which was suggested by a reader. I use it to boil water and steam veggies. Now I really can make anything in a hotel room. I have tried the new Instant Pots, but admit I don’t understand the craze yet. I may change my mind if they come out with one that is smaller and better suited for one to two people which would also take up less space. 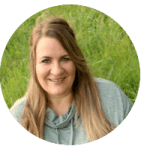 Coming into this blog 3+ years after it was written — thank you! Recently found out we have some health issues and going out to eat when we road trip is not good for either of us. So I started packing “the portable kitchen”. I’ve considered adding an induction burner to my portable kitchen as well. I may have to give it a try. I’ve noticed that even when hotels offer kitchenettes, they sometimes charge for the pots, pans, cooking utensils and dinnerware. I made the mistake of leaving my portable kitchen at home when my family traveled to Atlanta last year. We had booked a kitchenette so I thought I’d save space. They charged an extra fee for the items I needed to cook and I ended up running to Walmart to buy what I needed for substantially less than what the hotel charged for two weeks of rental fees. We were just relocated due to catastrophic storms that hit our home and will (per the insurance) be in a hotel for the next three months. That being said I am eager to see your post. I am already sick of eating out for a week. Thanks in advance. We took along a small Proctor Sylex contact grill on our last air trip and made some great burgers. Next time I we’re taking a small 750 watt hotplate and found some very light weight pans. I’ve expanded our possibilities with a 750 watt inverter,69660, from Harbor Freight. As a test, I fried a burger with the hot plate/inverter setup with the inverter clipped to my car’s battery. Now we can cook anywhere the car goes. The hot plate, a few pans, and the inverter weighs about 7 lbs so i should be able to carry it in checked luggage. All this effort is because meals at one of our favorite destinations cost 3 times as much meals at home town restaurants. Great idea! My husband and I recently went on a camping trip and pulled our camp stove out at rest stops to cook many of our meals. Preparing food this way can certainly save a lot of money. I’ve never thought of trying an inverter with the car battery. Great idea! im glad that I stumbled upon this blog. My husbands work leads our family of four all over the country. I’ve stayed in places with full kitchens, all the way down to the mini fridge/ microwave combo. It may be helpful to mention, when my son was an infant, I asked the (very kind) hotel staff to keep a few teething rings in their freezer. I stored them in ziplock bags. Also, small blenders, like the magic bullet or nutribullet travel easily and are great for starting soups, nut butters, and smoothies. I know this is an old comment, but I pretty much live on the road and have found that traveling with an InstaPot pressure cooker is priceless. It is a skillet, steamer, slow cooker and pressure cooker. I also try to snag things available at breakfast for some of my meals, like some scrambled eggs, bacon and syrup to toss together with some minute rice and some frozen peas and carrots for a fried rice or some peanut butter cups and an apple to make a lunch snack, some instant oatmeal packets to sprinkle on some canned peaches for a cobbler. My husband and I travel for work. We got tired of eating out for every meal so I purchased a large rolling tote (called our portable kitchen) and it goes everywhere we go now. I love some of your ideas you have posted and will add these to my kitchen. One thing I learned from a fellow traveler and wanted to share with you is I purchased a Presto fry daddy (the smallest one for around 19.00) and we use that to boil water in to make pasta, mac and cheese, etc. It has been a huge asset to my portable kitchen. So between my skillet, crockpot and fry daddy (and the microwaves in the rooms) I have everything I need to whip up a healthy cost effective meal for us. I never thought about a fry daddy! What a great idea! I’m definitely adding it to my portable kitchen as well. Thank you so much for sharing. I want to go buy one today so I can try it. ic there is a kitchenet there is already cooking allowed and yes these things are all nice but we travel and don’t do kitchenets except on rare cases. So we travel with a nuwave oven and an electric skillet. Spices and utensils, plates and real silverware besides the bullet blender and store it all in upright 5 drawer plastic system. Only places you really can’t cook is if there are no water things in the rooms in case of fire. the smallest portable grills (I got the small George F. for less than $15) means grilled sandwiches, chicken breasts, veggies, etc even at a hotel without a kitchenette. I love my George Foreman. I also have the small one that I pack with me and love to make quick wraps that way. How do you take this portable kitchen when you’re flying somewhere? Just omit the bin? Sam, I’ve never packed my portable kitchen when flying, but if you had the space, you could tuck items into your suitcase. A few years ago, my husband and I traveled across the country staying in hotels. We brought along a small cooler, a glass pie plate to cook in the hotel’s microwave and a presto hamburger maker. We fried eggs, made burgers, hot dogs and grilled cheese sandwiches in the presto. We heated canned chili and precooked bacon, among other things in the microwave on the pie plate We heated water in the hotel provide coffeepot for instant oatmeal. We carried along a small dish soap and washing sponge, real utensils and Styrofoam plates/bowls. Everything packed nicely in a duffle bag and saved ourselves a ton of money. Food costs when we’re traveling really eats up our budget. 🙂 I refuse to spend a great deal of money on food when there are so many places to see. We do eat on occasion, but I’d much rather save for a great meal instead of waste money on a bunch of mediocre ones. Thanks for sharing your tips. I don’t have a Presto hamburger maker, but I do have a small George Foreman grill that has become invaluable when cooking on the road. I love this idea! One of the main reasons we do not travel much is that we have a large family, and feeding everyone in a restaurant three times per day would kill our budget. I prefer staying where I can cook the meals I know my family will eat. I had never thought of packing along my own portable kitchen! 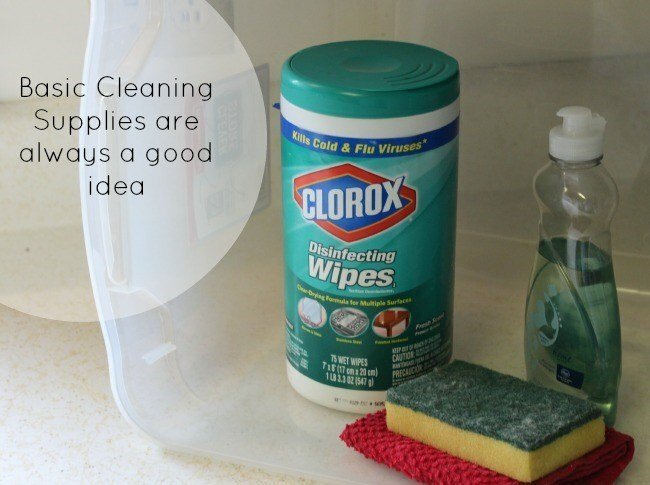 Such a great idea and one that I will use over and over again! Thank you! My husband travels frequently with his job which means a lot of eating out. When we travel as a family, the last thing he wants is to eat out. And you’re right, it’s so much cheaper to prepare your own food. 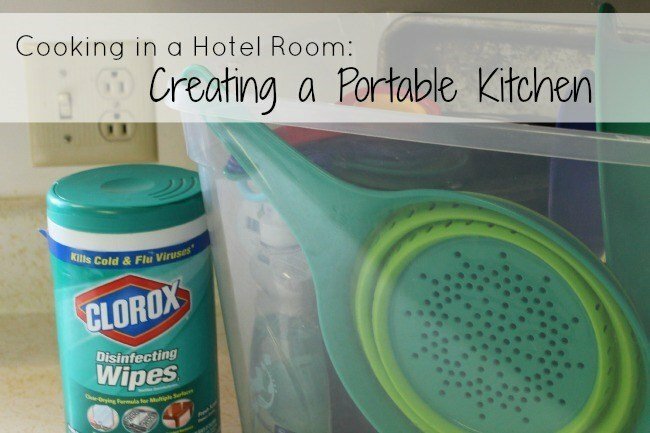 These are great portable kitchen tips for traveling families! Thanks especially for including basic cooking supplies that are often lacking in hotel kitchenette. That is something I don’t think about much because our family doesn’t travel often (maybe 1x or 2x per year). But this will come in handy for our next big trip! This is such a great idea. We have just gotten to the stage where my kids are old enough for us all to sleep in a hotel room together which saves a heap of money traveling. The money we save on accommodation though then gets spent dinning out instead. Great to thing we may be able to cook proper food in a hotel room. Having the ability to prepare your own meals while traveling saves so much money. We do the same thing, trying to find ways to cook while we’re on a trip, so we have money for other things. This is awesome, Tonya. I love the collapsible products, so easy to store and carry with you. Great idea! We go to a big National Homeschool Basketball Tourney every year and are in a hotel for about 5 days. 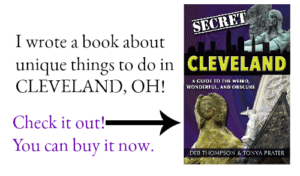 Several of us precook meals that can either be eaten cold (like chicken salad) or reheated in the microwave (like spaghetti). But I didn’t know that a hotel would allow you to bring a crockpot and use it in your room. Do you ever have any issues with the hotel? 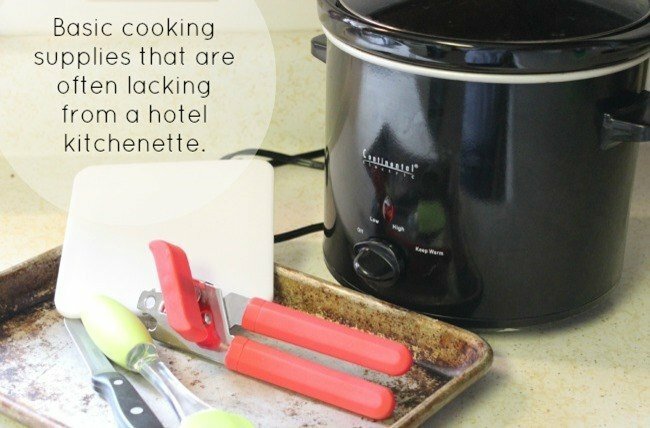 Personally, I’ve not had problems using my crockpot while traveling but if you have any doubts, you can talk to the hotel directly before making your reservation. I can’t wait to share some of the recipes that my family has tested and approved while on the road. 🙂 Eating out is fun on occasion, but 9 times out of 10, my family would opt for that home cooked meal.